I’ve been meaning to write a post on all the new milongas and events that have been happening in SoCal lately, but have been pressed for time. But a visit from some friends of mine from Rosario, Argentina — Victor Barrios and Cristina Benavidez — spurred me to write this post. 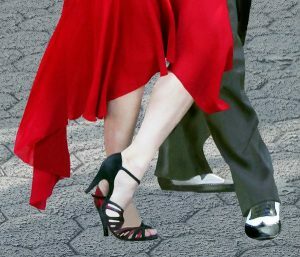 The two will be teaching and performing Saturday night, Jan. 28, at the Tango Room, 8:30 p.m.
Victor and Cristina dance the “Paiva” style of Argentine Tango — an elegant, close embrace style of salon tango taught by the master, Orlando Paiva Sr. Both studied for years with Pavia before his sad passing. 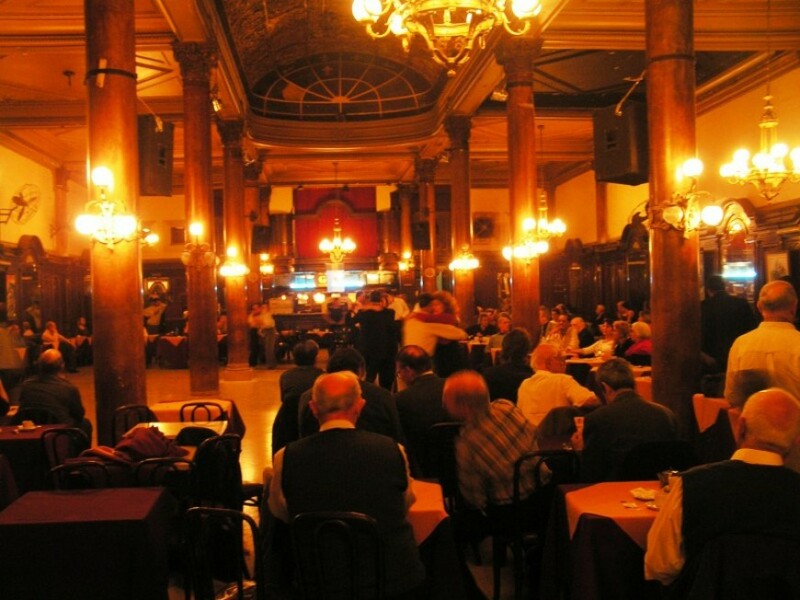 They have taught and performed at many famous milongas in Buenos Aires, and regularly hold classes at La Casa del Tango, or The House of Tango, in Rosario. Don’t miss out on this chance to learn from this most elegant couple. There’s been a couple new milongas that have launched this past year. FiestaTango Milonga hosted by Guillermo Macana takes place once a month, the third Friday. The space is a large dance studio, the Hollywood Academy of Dance, in Van Nuys. There’s plenty of dance space, a good floor, and at the opening there were quite a few people. There’s also plenty of parking. The milonga starts at 10p.m. and goes until 3 a.m. The Flame milonga just launched this month. Unfortunately it was hosted on the same night as FiestaTango. Next month it will take place on Feb. 10, so it seems that they are working to avoid conflicts. In any event, Flame is hosted by Nataliya Nozharova and Mahmoud Tango. I did not attend the opening but the space looks very nice. 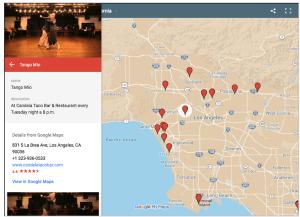 This milonga is at a restaurant of the same name, Flame International, in Los Angeles. Also new is a practica hosted by Daniela Arcuri and Sergei Tumas. Daniela is from Buenos Aires, and is a longtime dancer and teacher of Argentine Tango. Sergei is a local teacher and event producer, and many of us have known him since the days he hosted a milonga in Burbank more than 10 years ago! 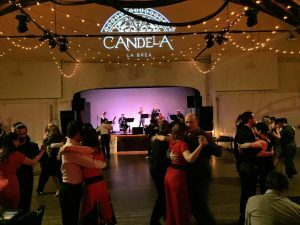 Their Hollywood Tango Practica takes place Friday evenings, 8 pm.. to 11 p.m., at the Hollywood Dance Center on Highland Ave.
And finally, celebrating its one-year anniversary, Makela Brizuela is hosting Milonga Carmin, tonight, Jan. 27. 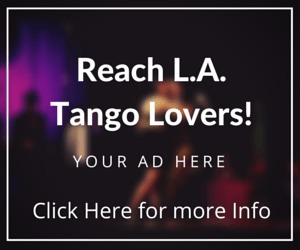 This milonga is in a dance studio near the 405 Freeway and Santa Monica Blvd. It’s reminiscent of milongas in Buenos Aires. I’ve only been once, but there were plenty of dancers and I had a wonderful time. If missed out on mentioning any new milongas or practicas, please let me know. All information on milongas and practicas can be found on this page. If you have an event to submit, do so here.